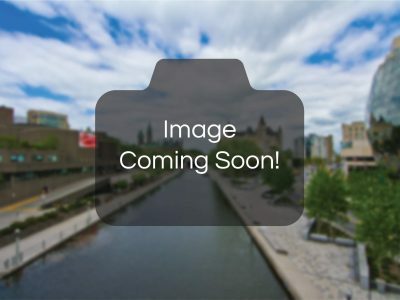 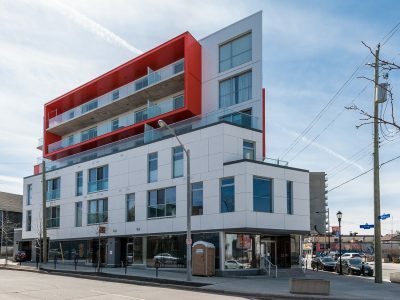 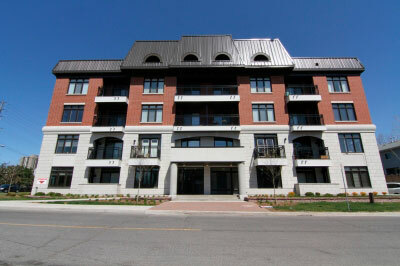 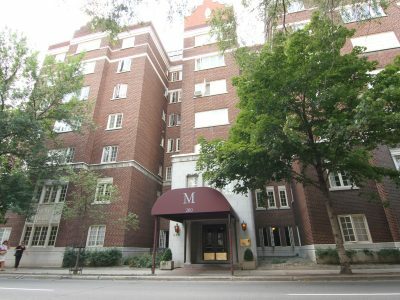 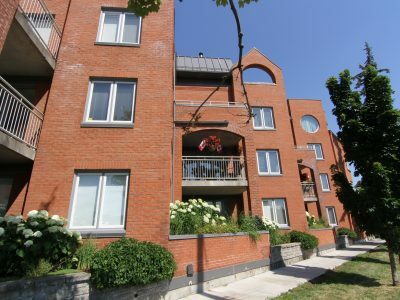 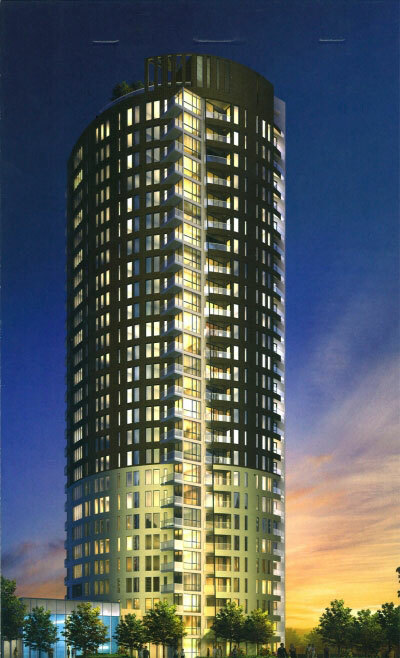 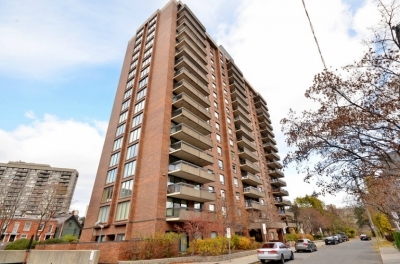 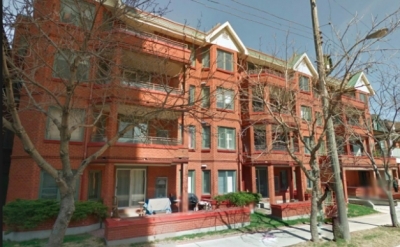 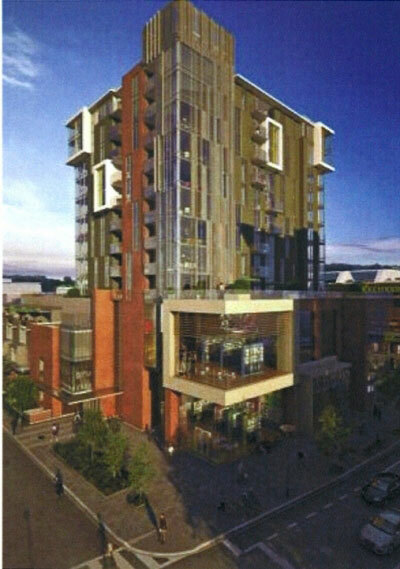 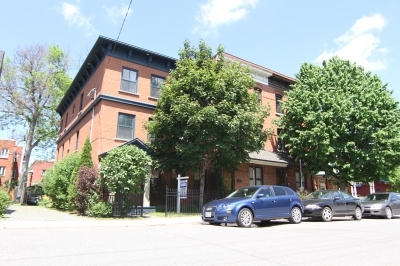 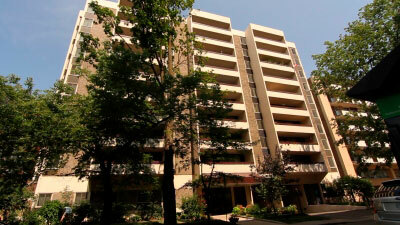 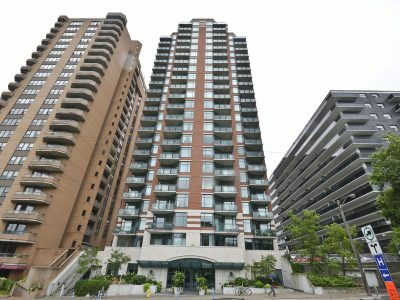 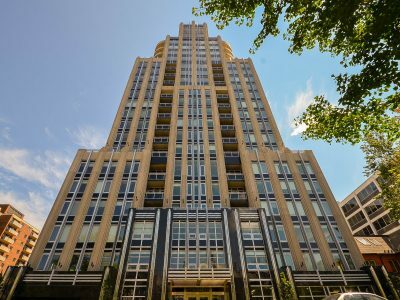 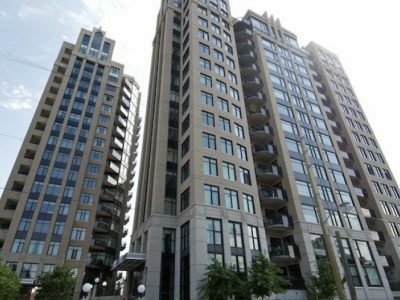 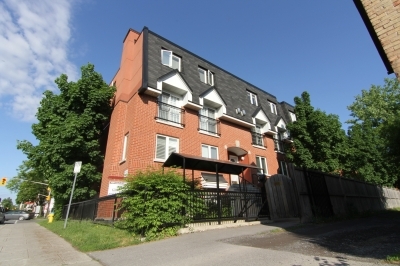 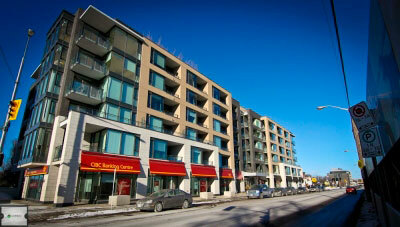 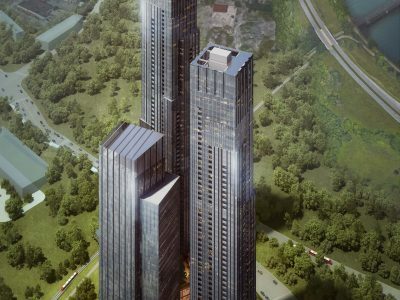 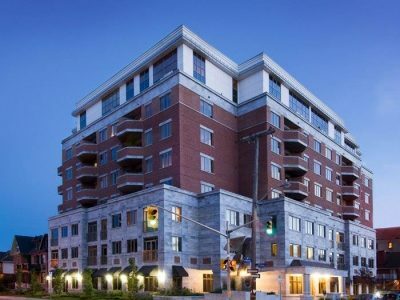 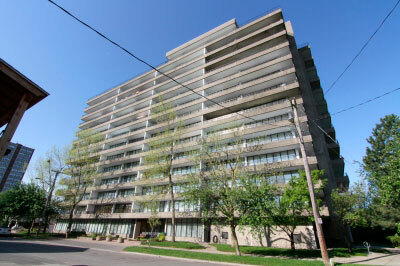 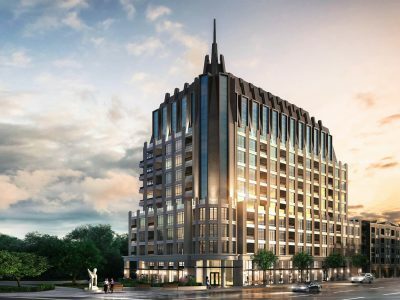 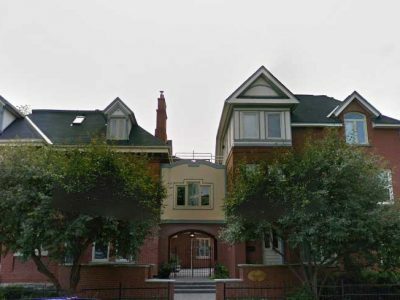 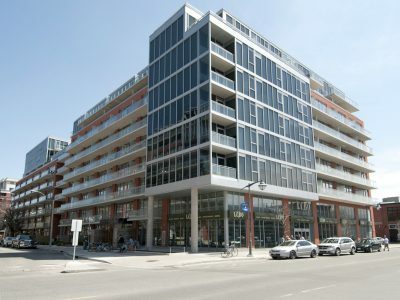 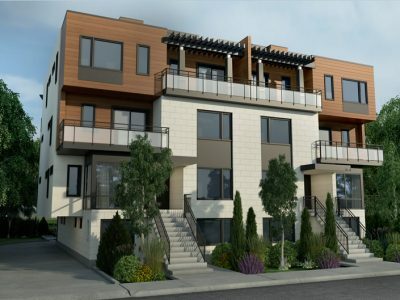 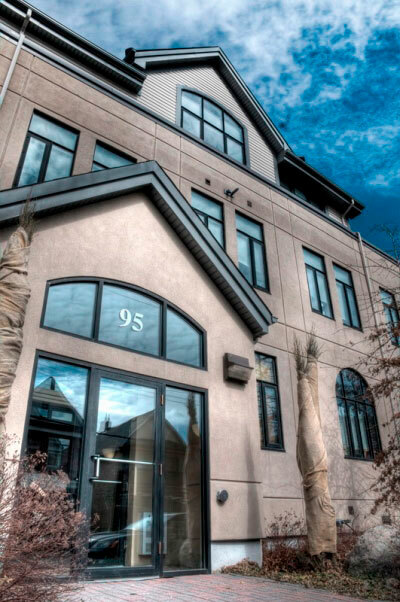 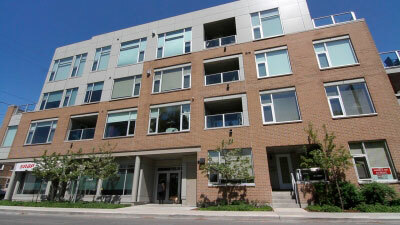 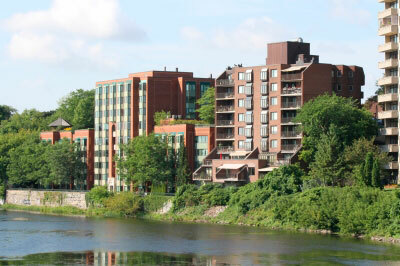 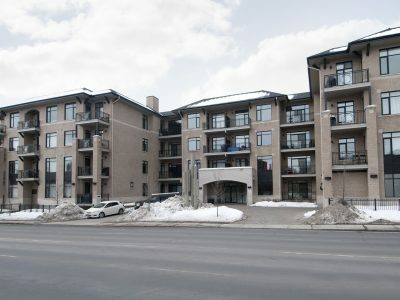 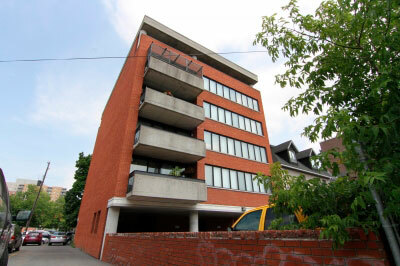 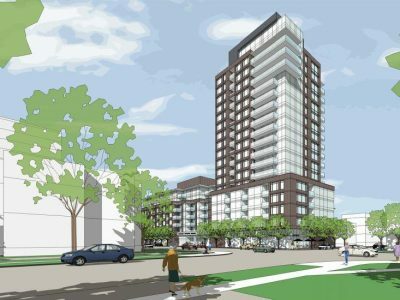 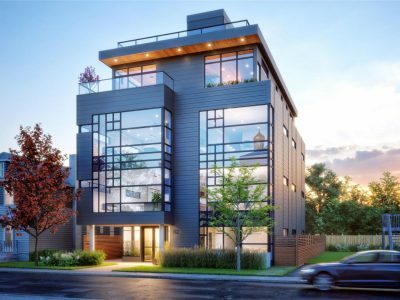 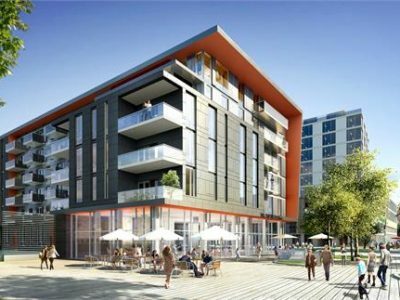 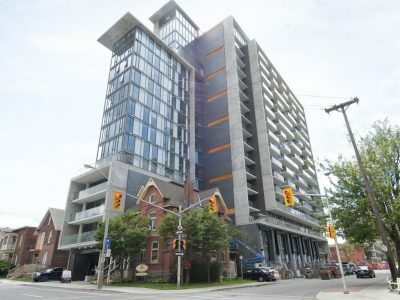 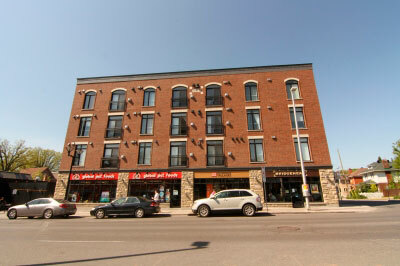 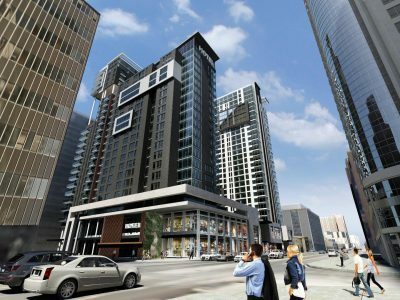 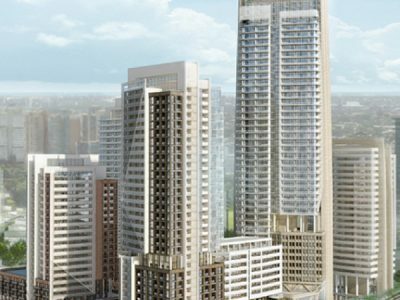 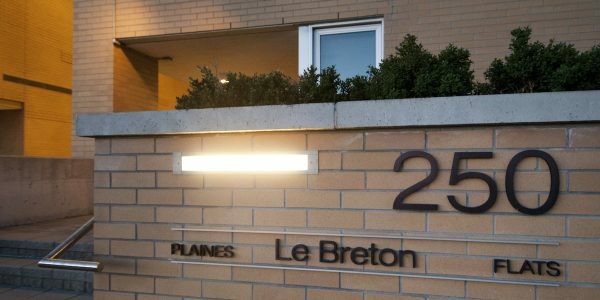 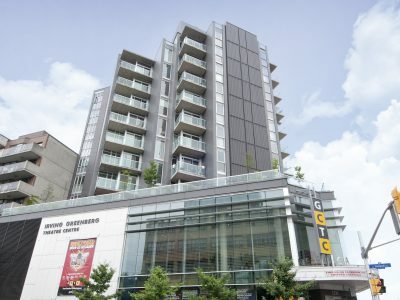 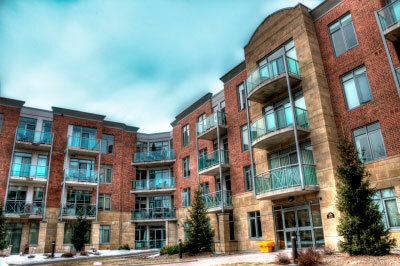 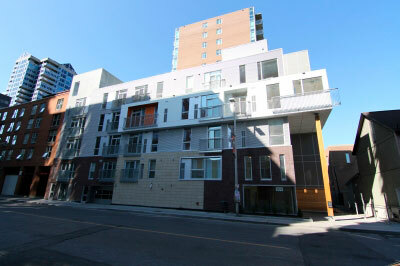 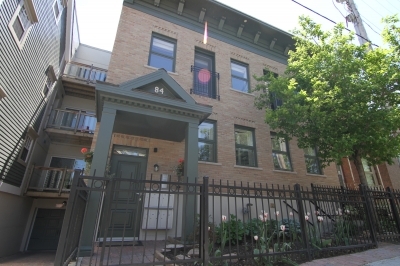 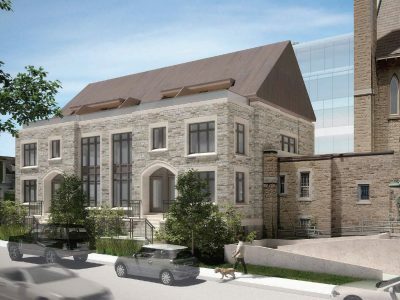 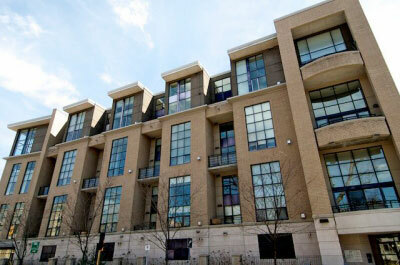 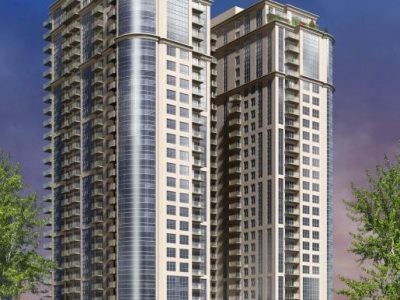 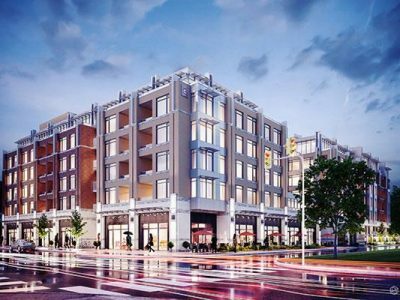 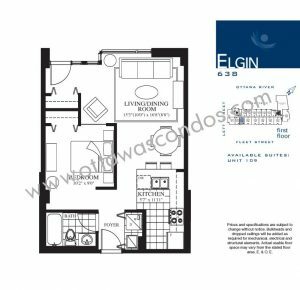 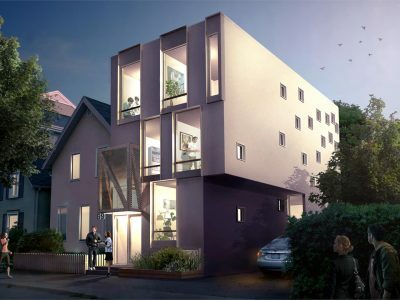 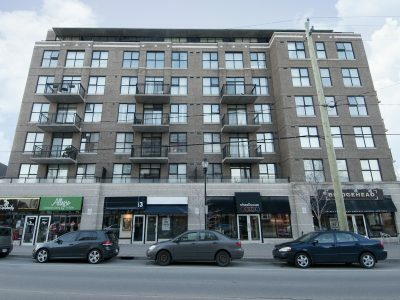 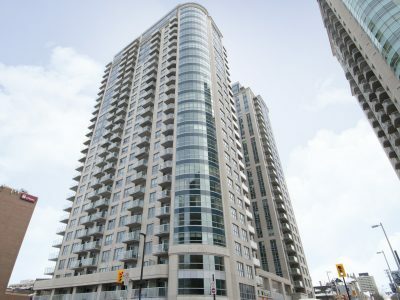 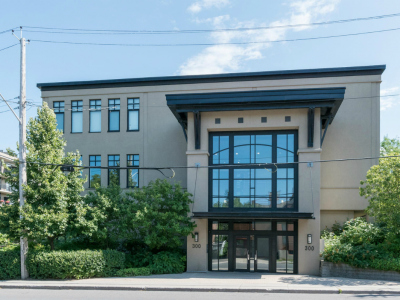 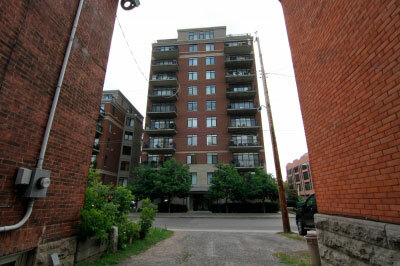 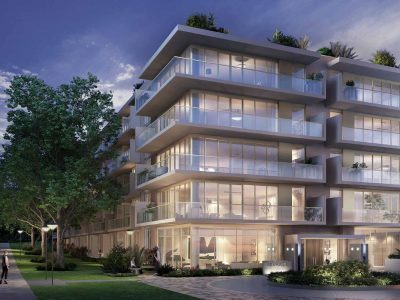 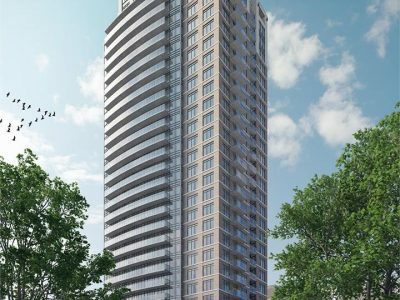 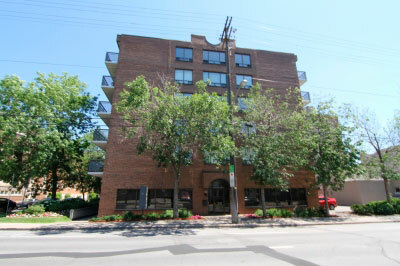 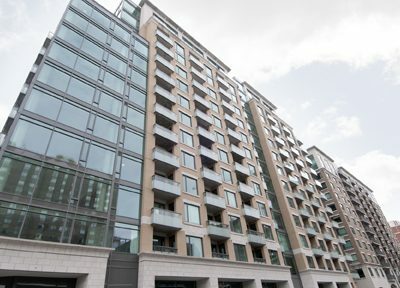 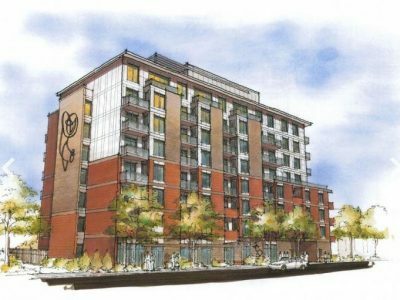 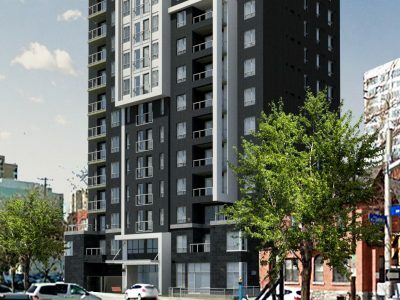 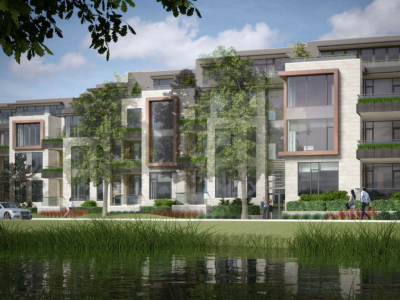 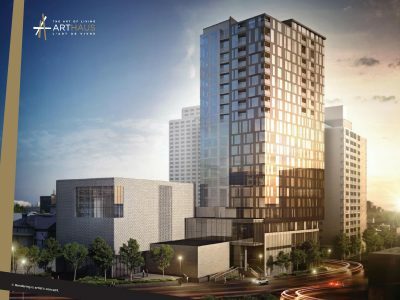 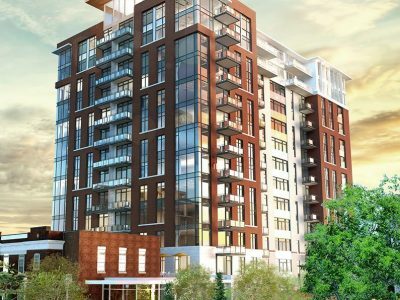 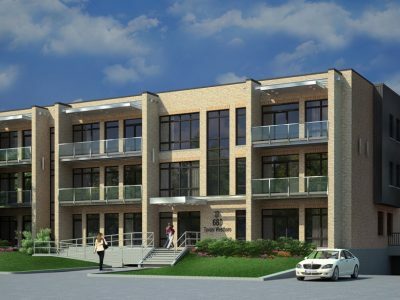 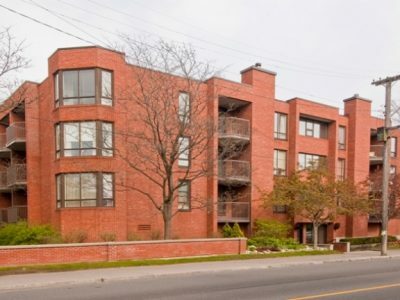 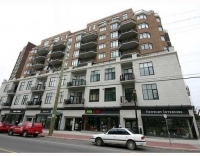 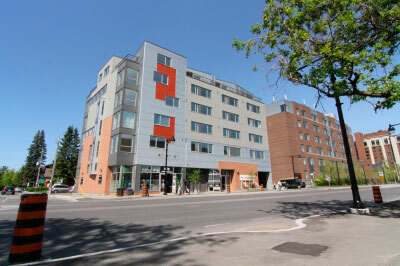 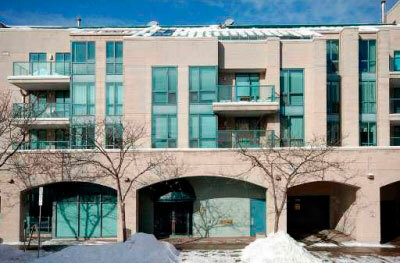 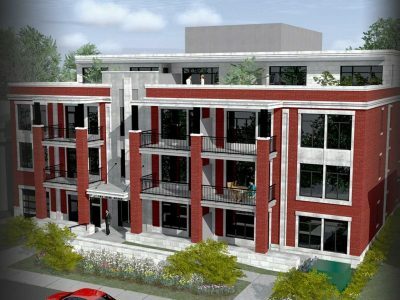 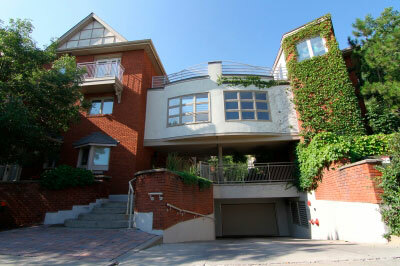 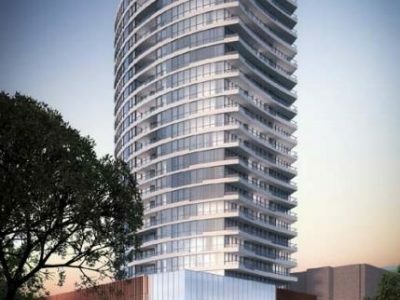 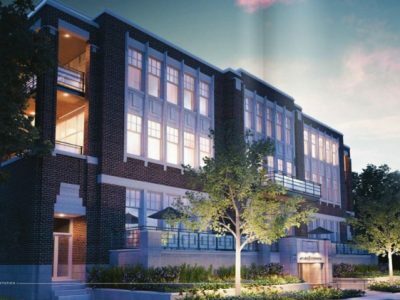 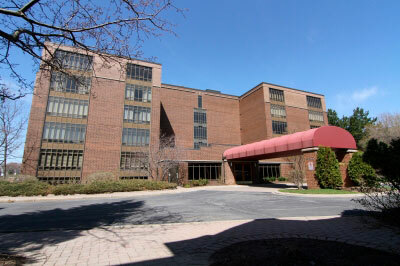 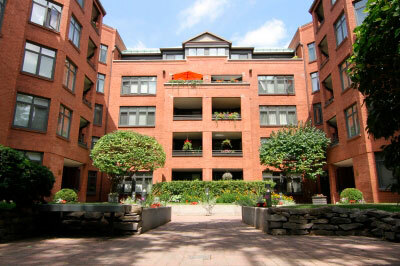 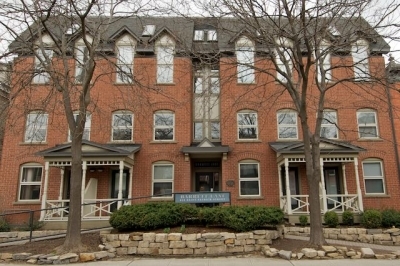 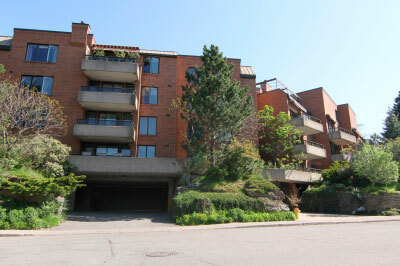 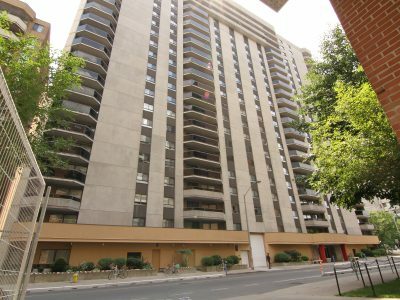 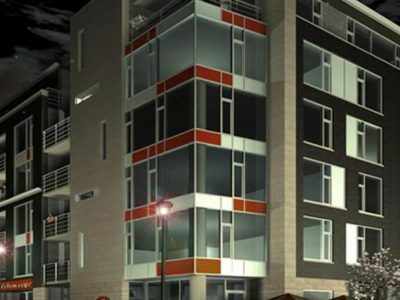 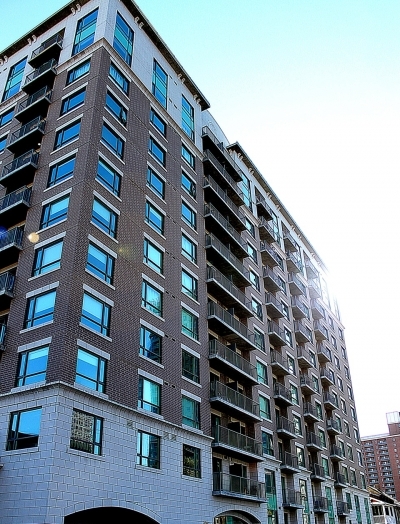 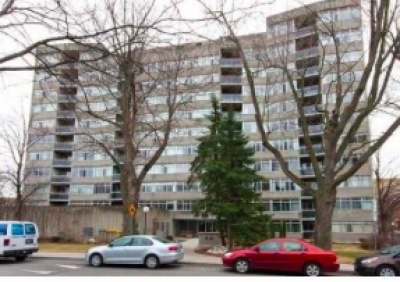 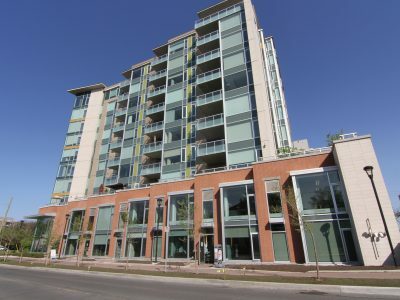 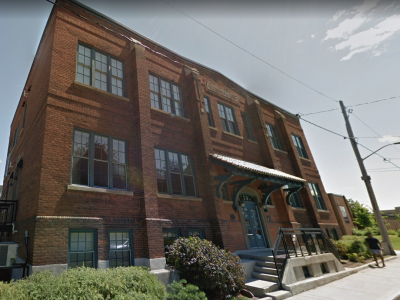 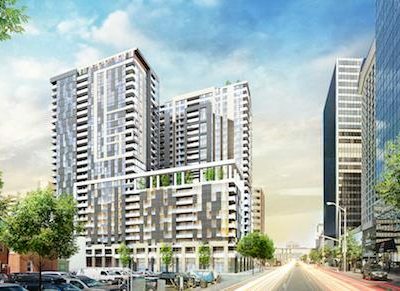 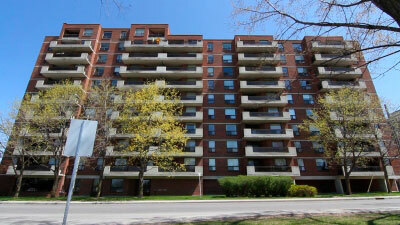 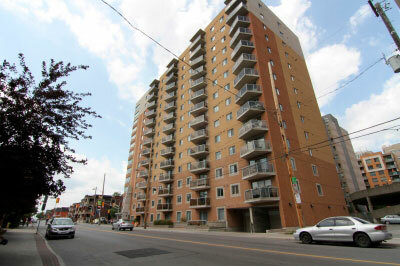 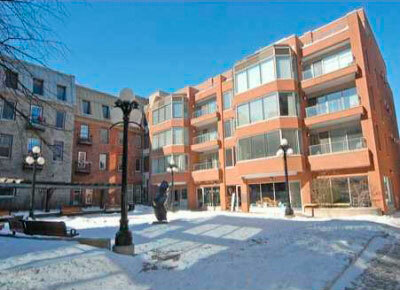 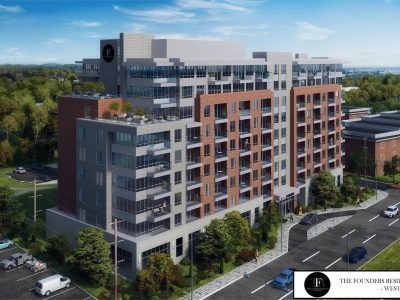 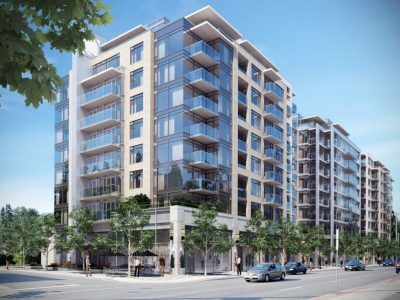 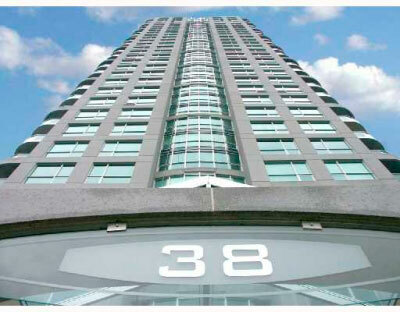 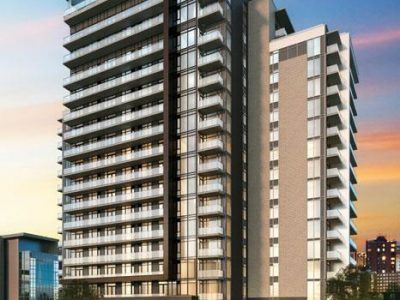 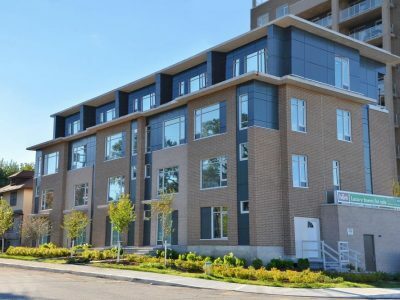 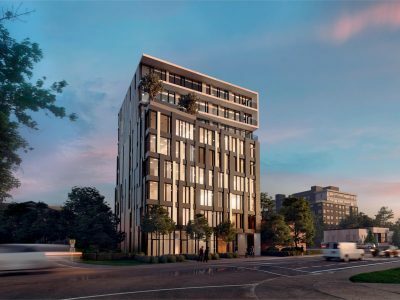 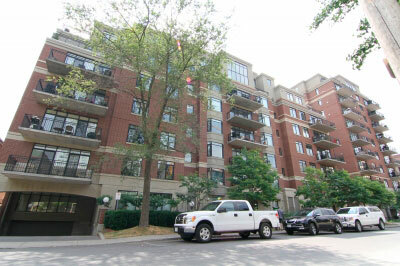 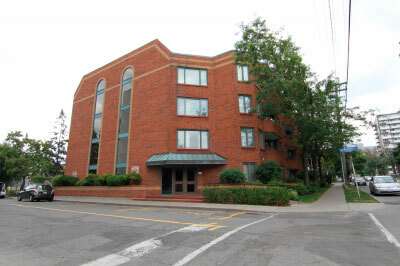 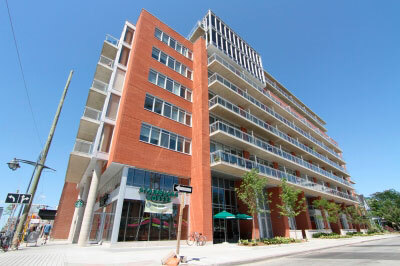 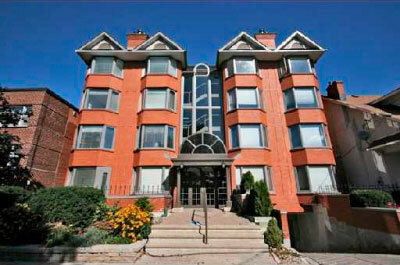 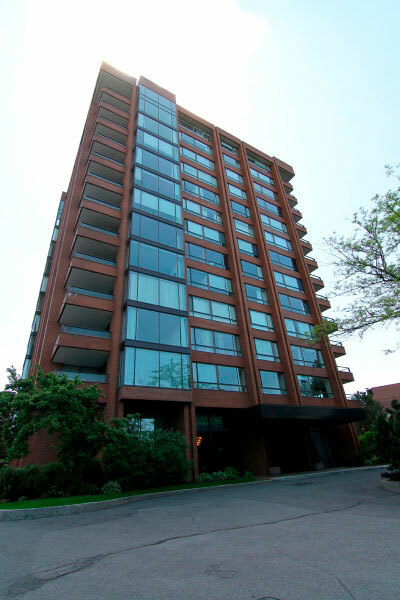 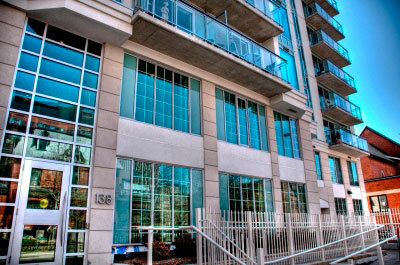 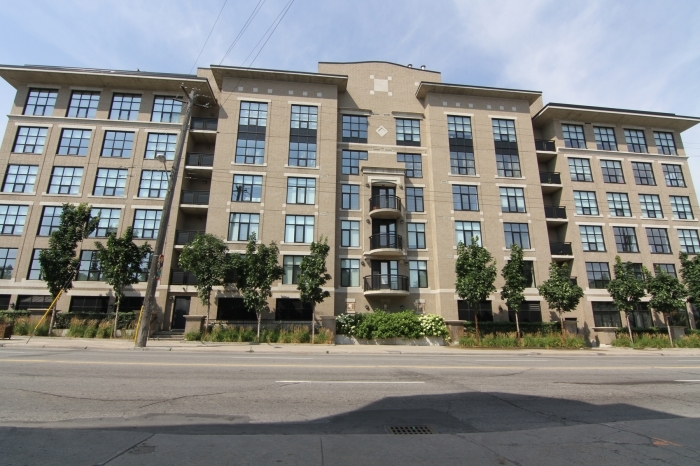 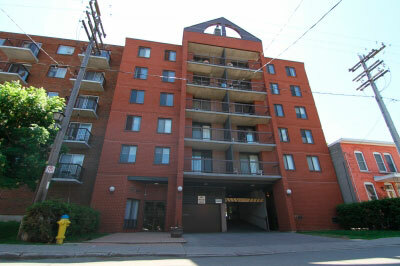 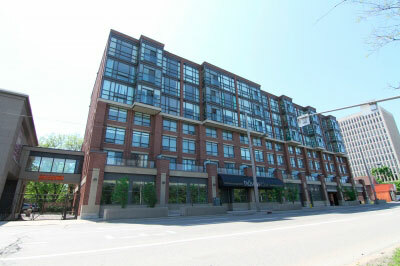 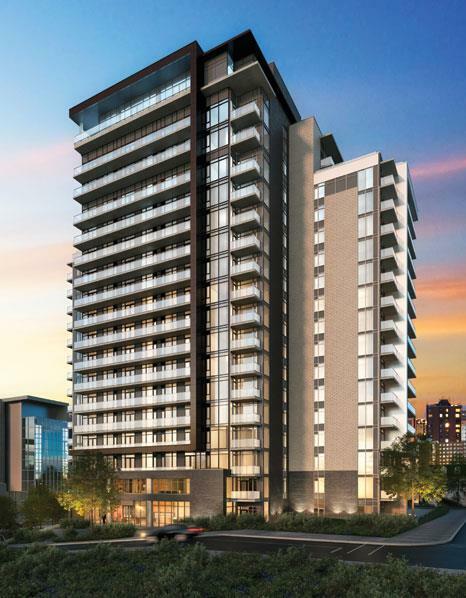 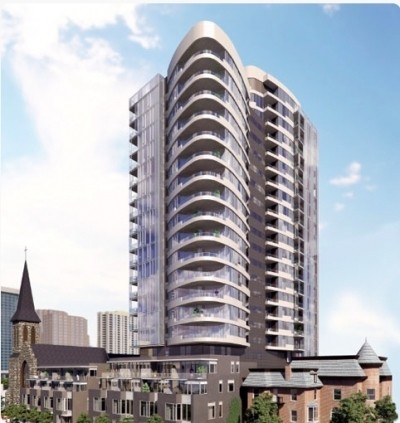 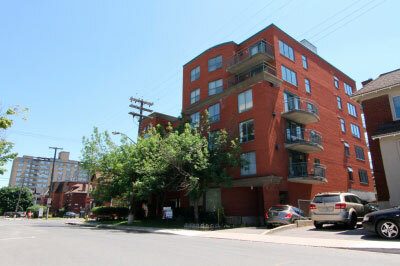 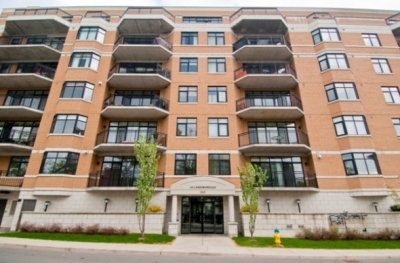 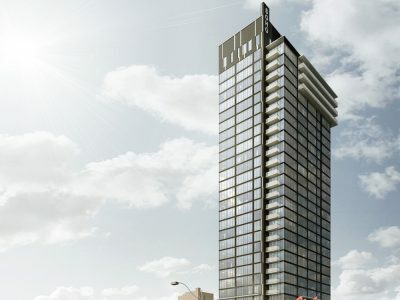 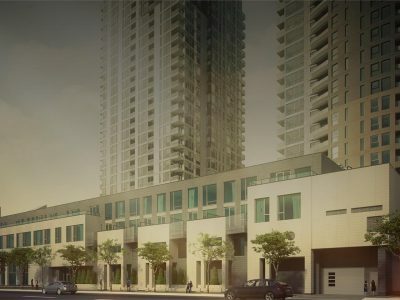 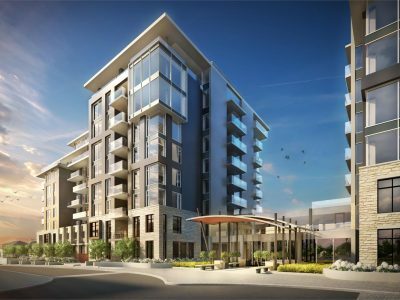 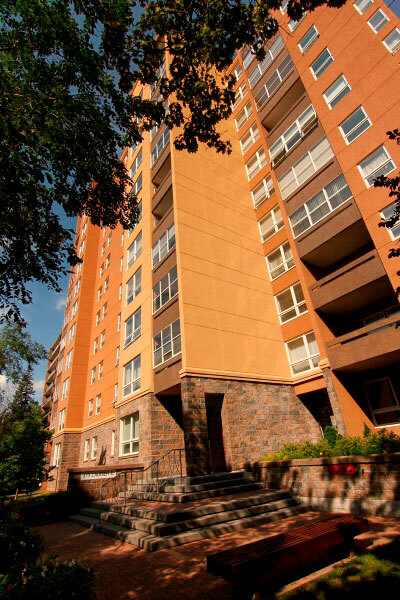 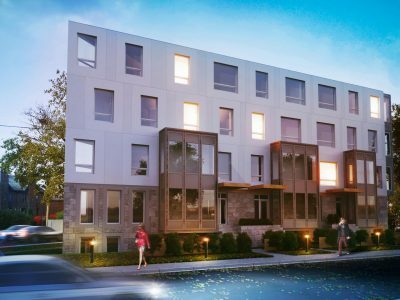 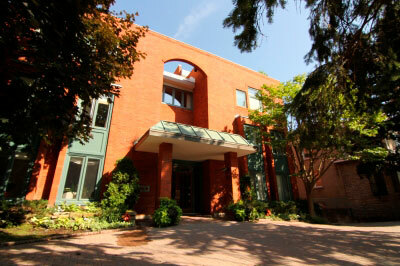 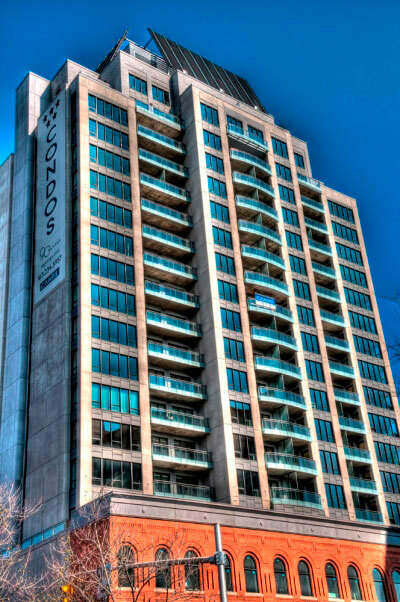 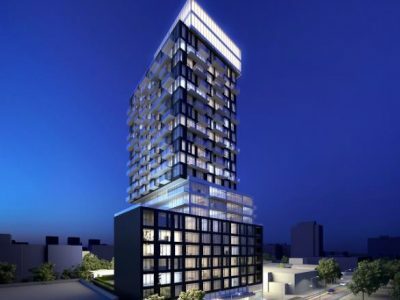 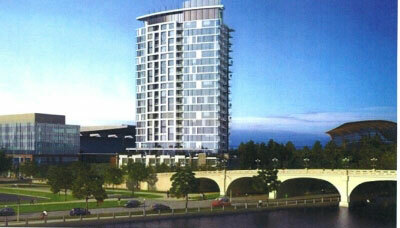 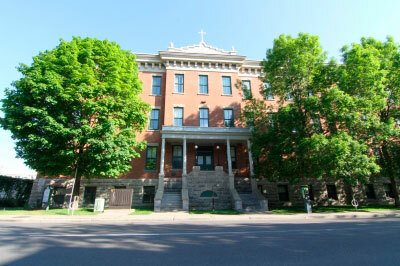 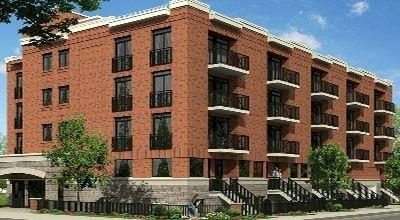 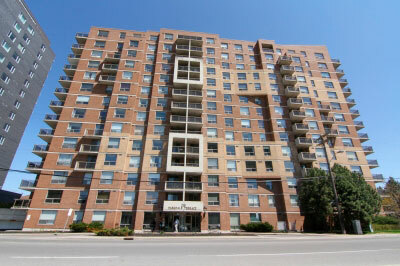 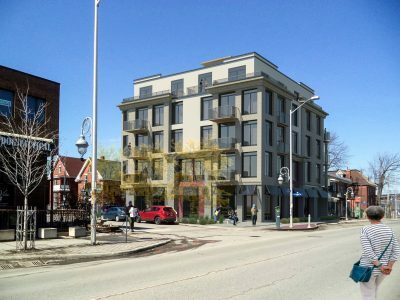 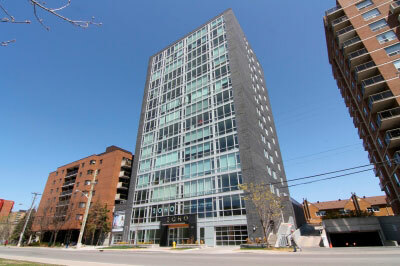 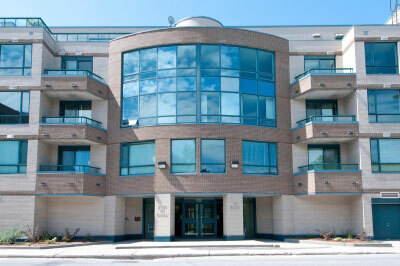 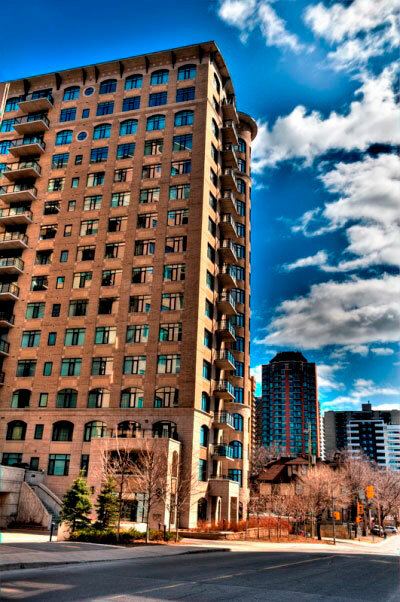 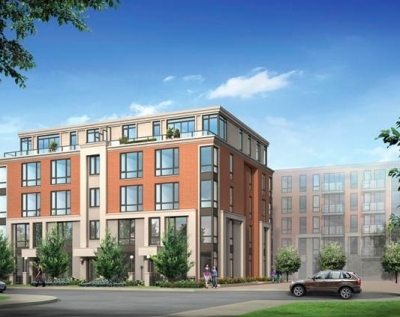 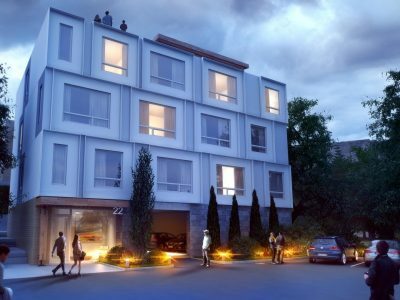 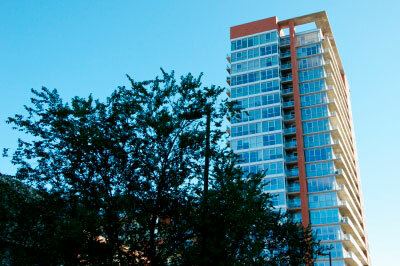 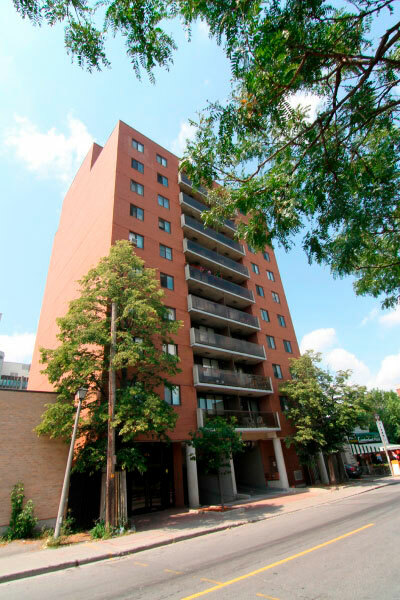 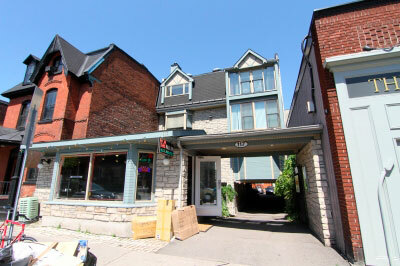 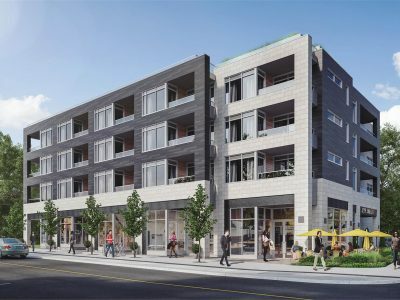 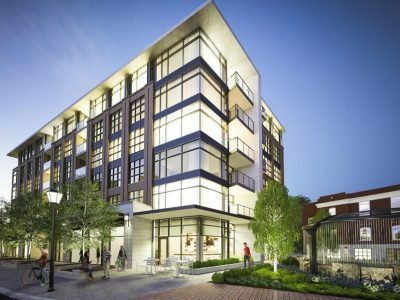 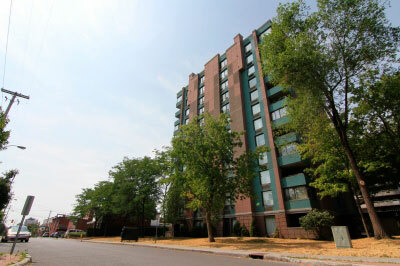 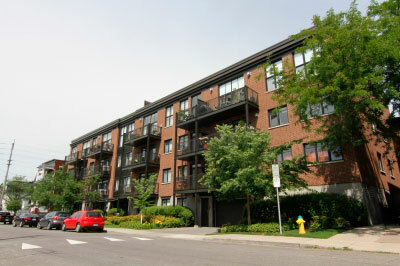 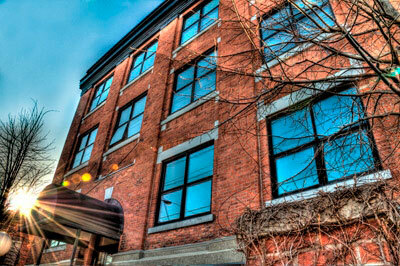 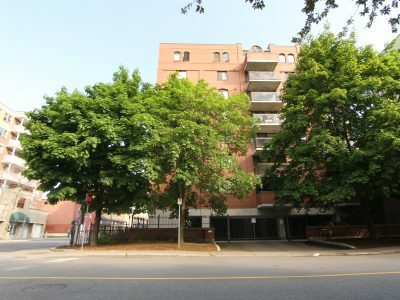 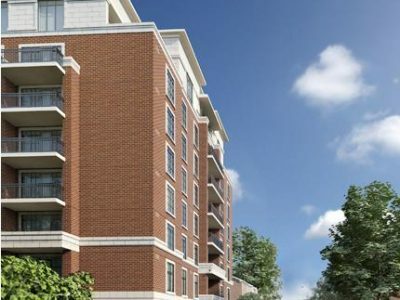 LeBreton Flats Phase 2 Condo Ottawa is the second phase of a three building condominium development by Claridge Homes. 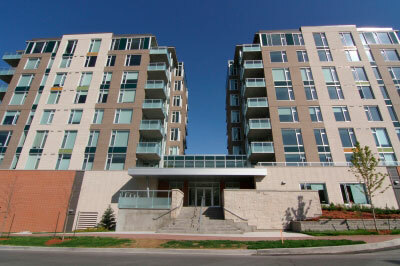 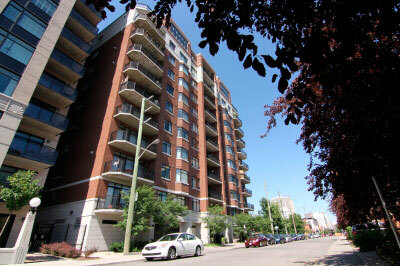 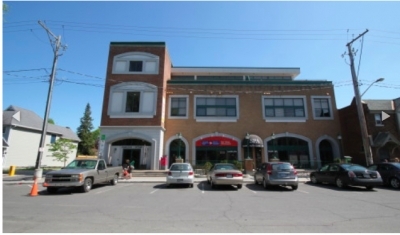 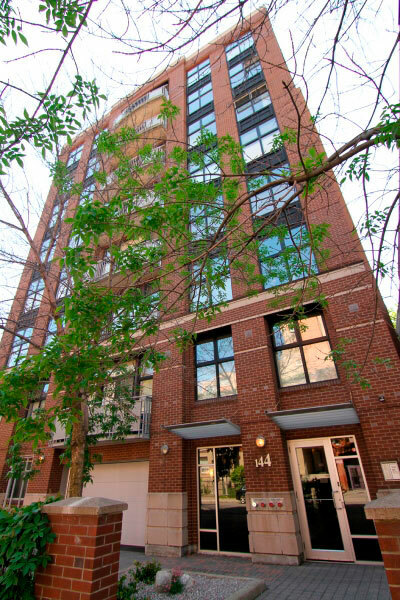 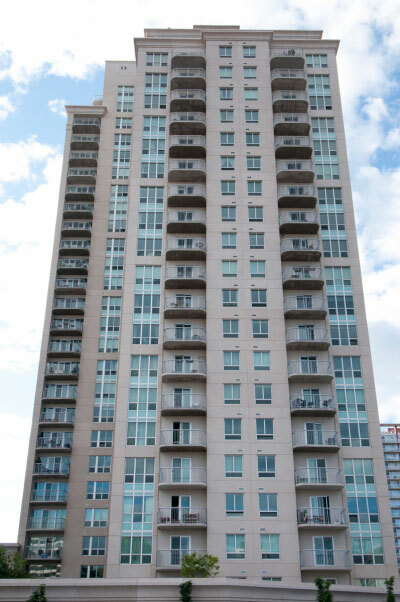 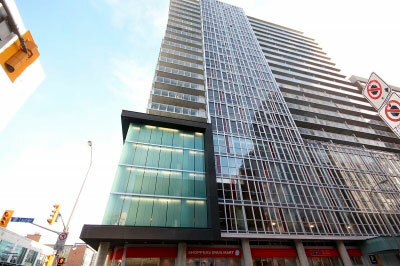 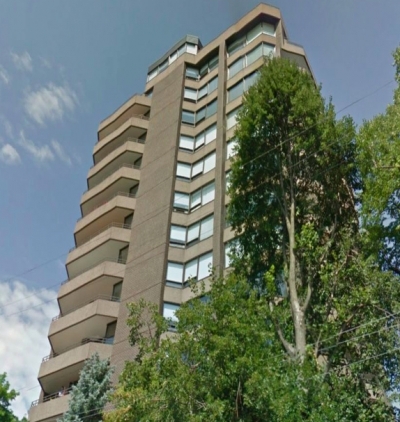 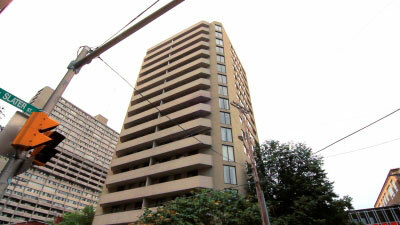 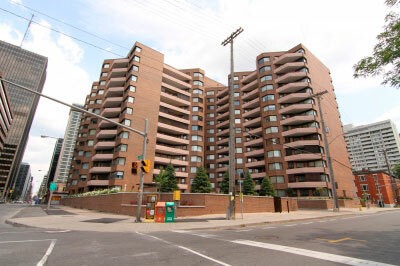 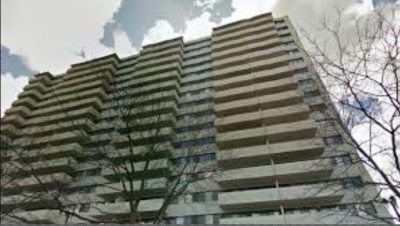 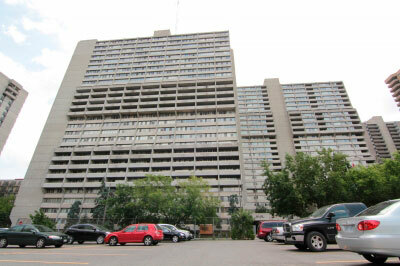 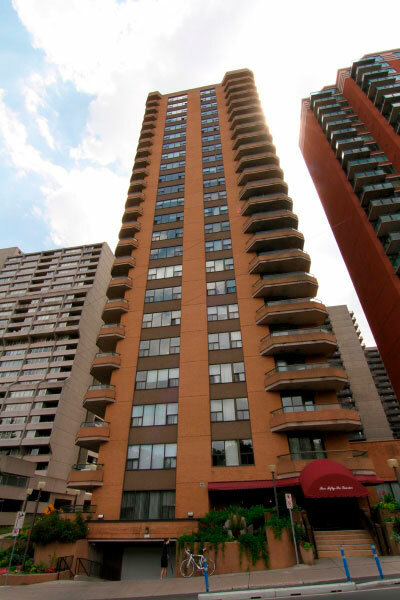 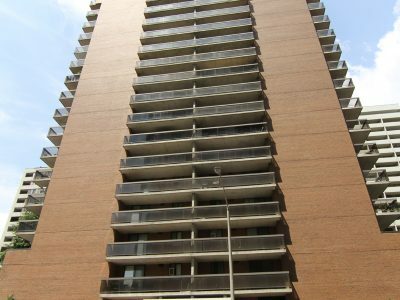 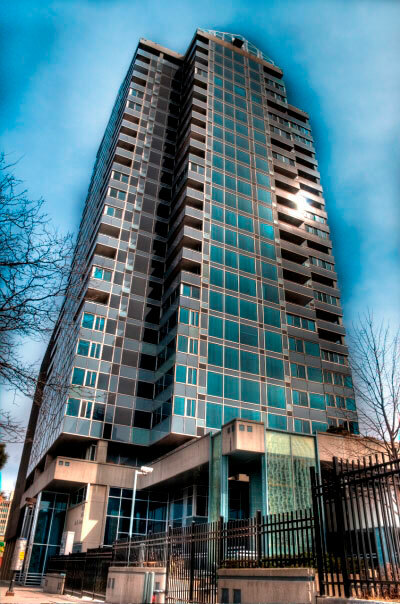 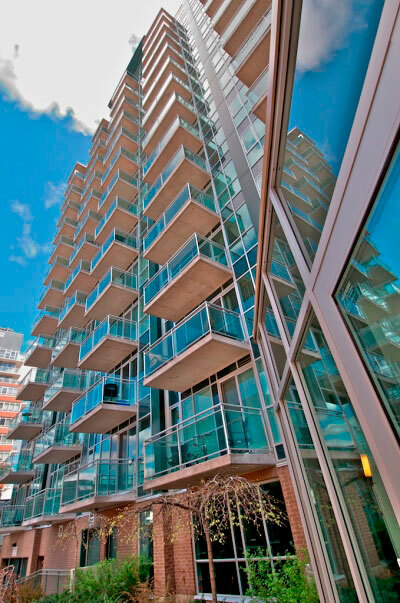 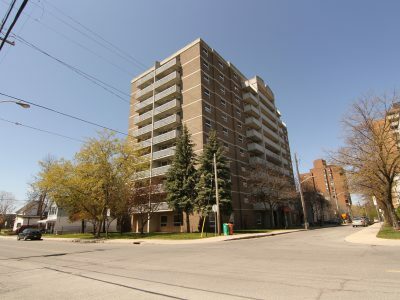 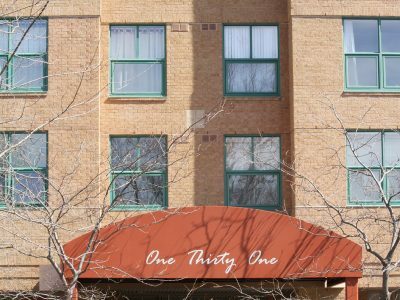 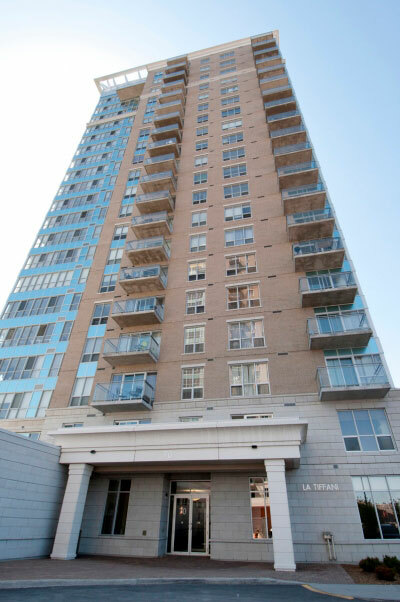 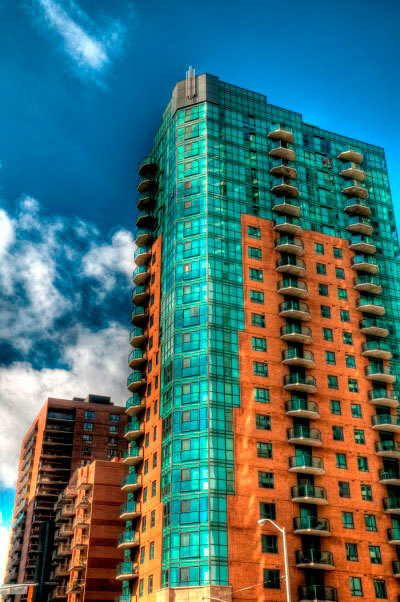 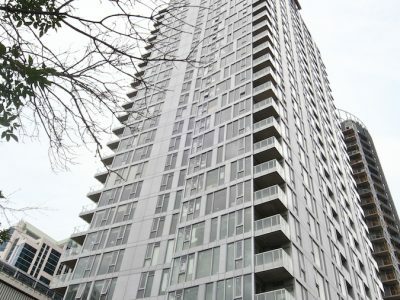 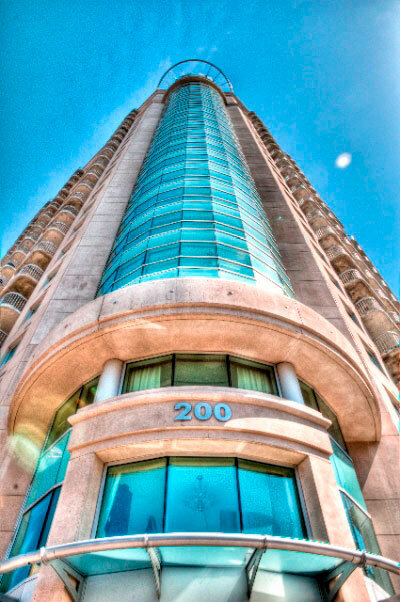 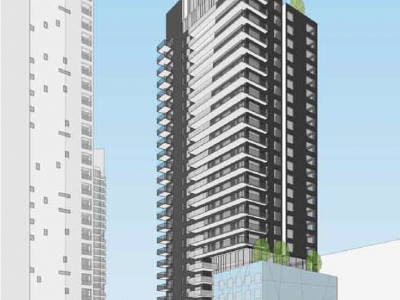 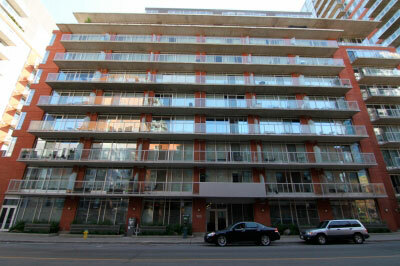 Constructed in 2010 the 13 storey building contains 166 condo units. 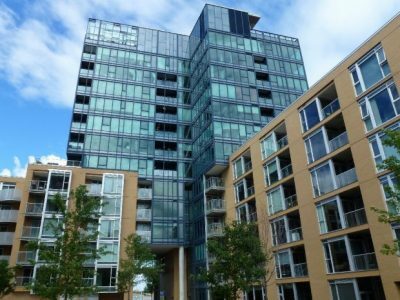 The buildings in LeBreton Flats are all LEED certified, making it one of Ottawa’s first fully LEED qualified neighbourhoods. 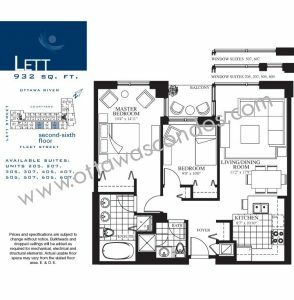 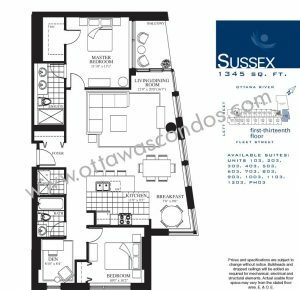 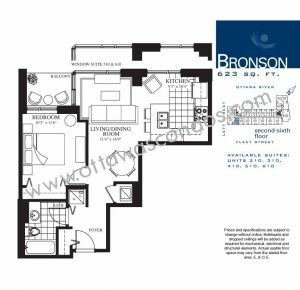 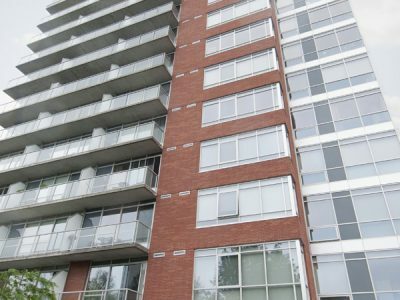 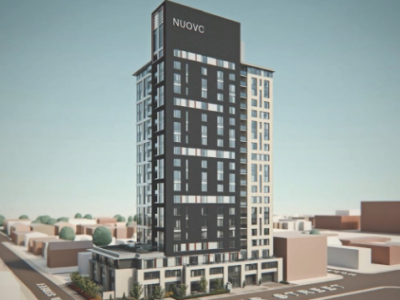 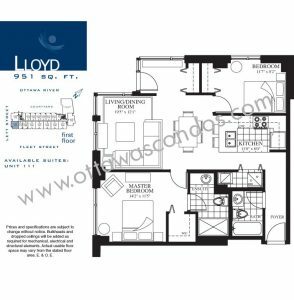 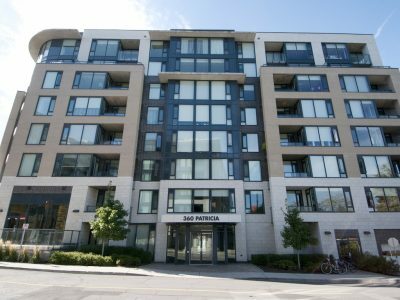 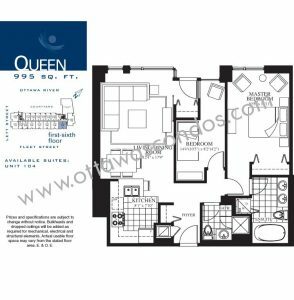 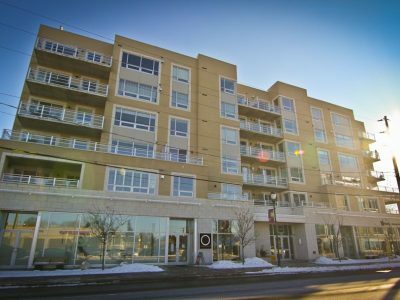 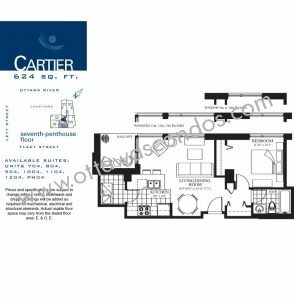 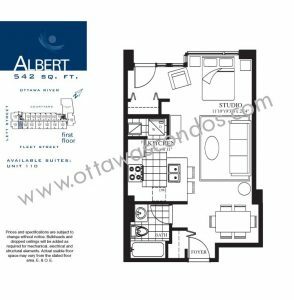 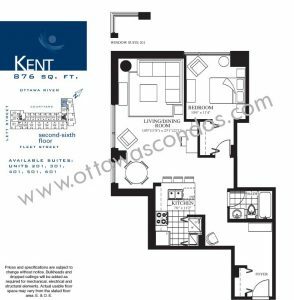 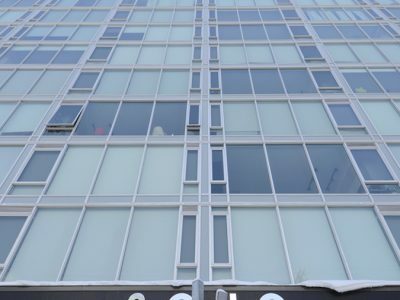 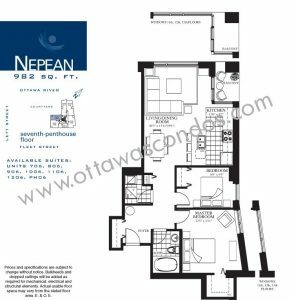 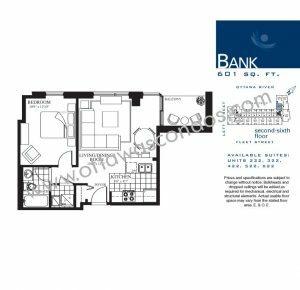 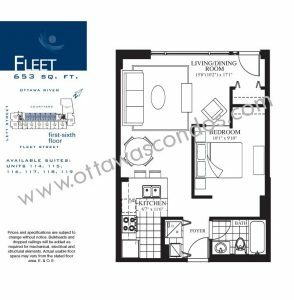 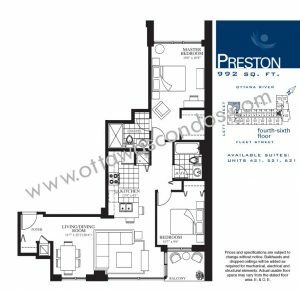 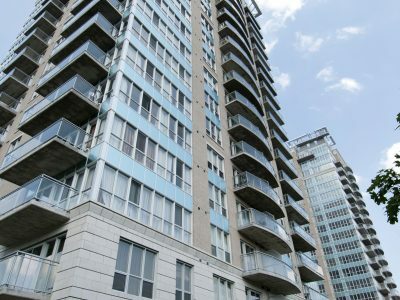 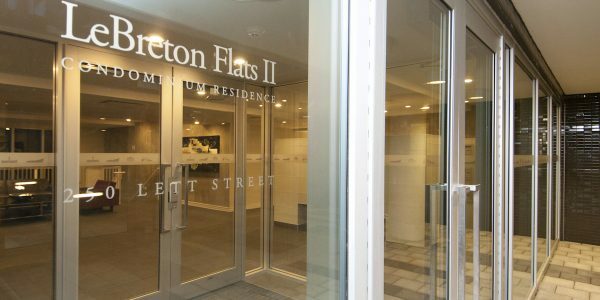 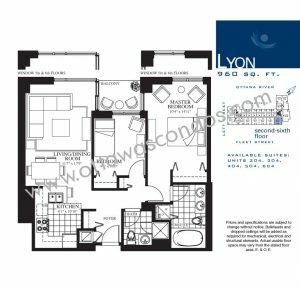 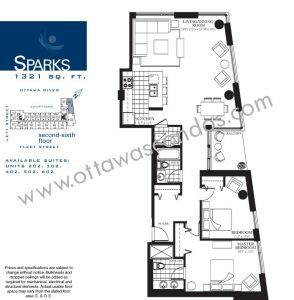 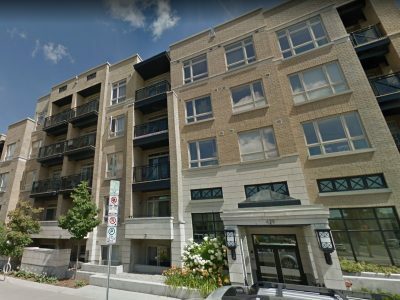 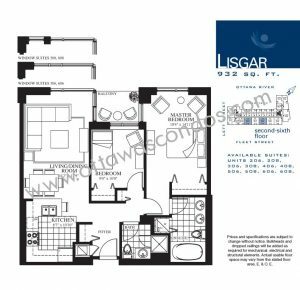 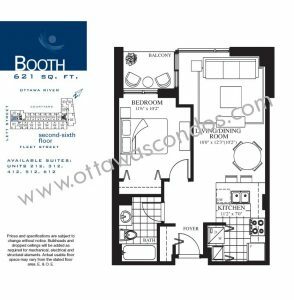 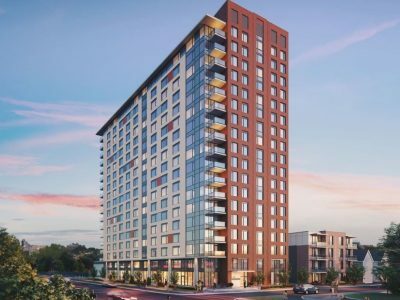 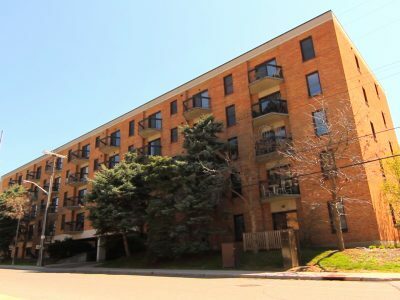 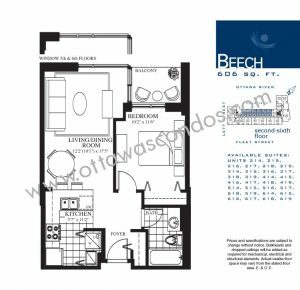 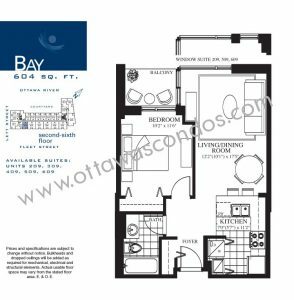 Units in LeBreton Flats Phase 2 Condo Ottawa are available in a variety of different sizes and floor plans and feature floor to ceiling windows, private balconies or terraces, granite counters & hardwood floors. 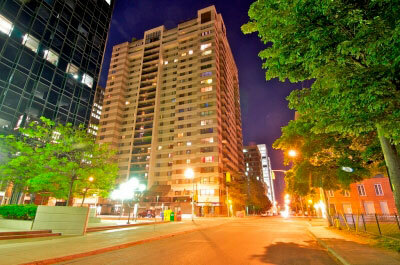 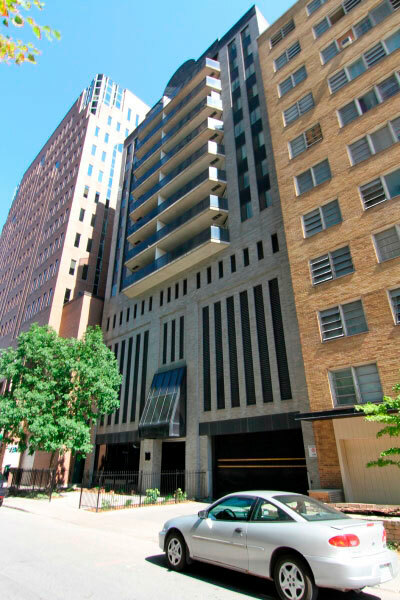 Underground parking & storage lockers are also available to be purchased with the units. 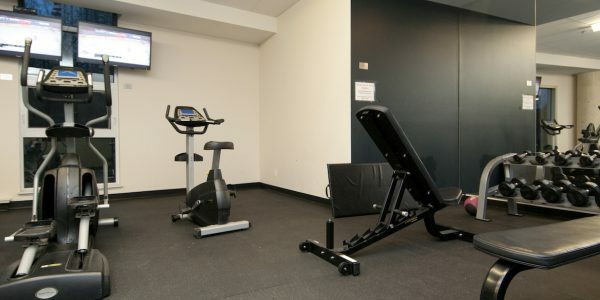 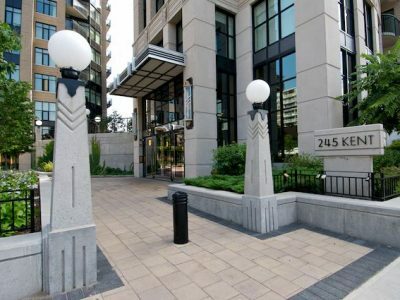 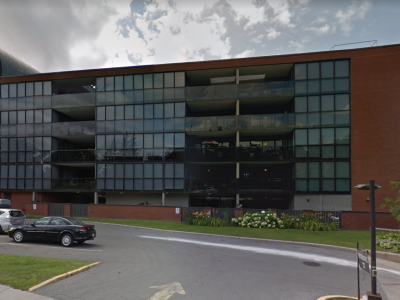 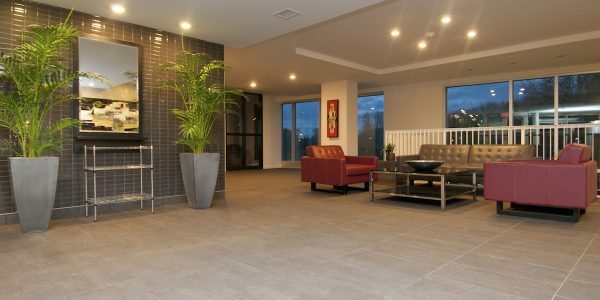 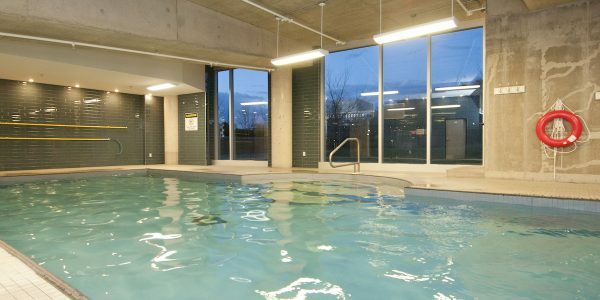 Amenities are shared between the 3 phases at LeBreton Flats Condo Ottawa and include landscaped court yards, an outdoor infinity pool, fitness center, whirlpool, indoor pool and conference rooms. 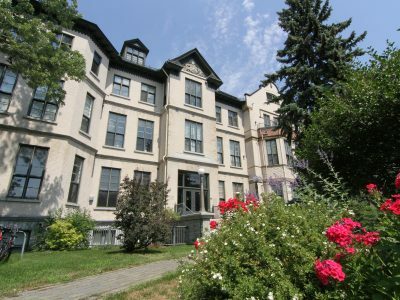 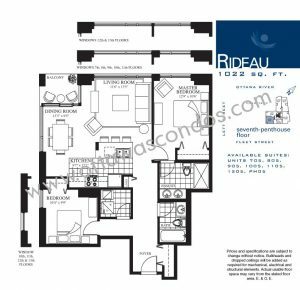 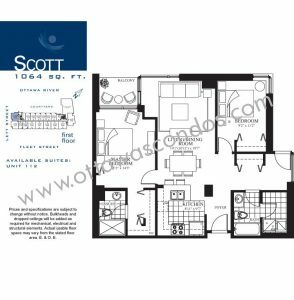 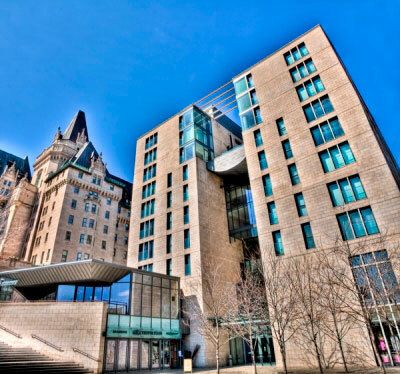 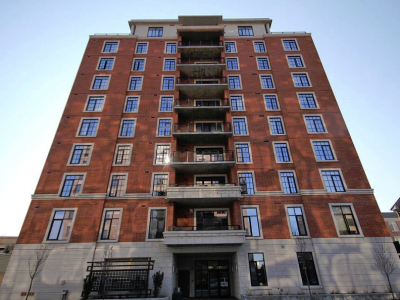 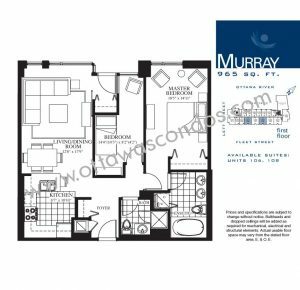 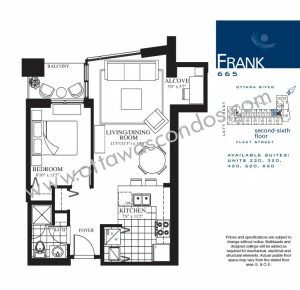 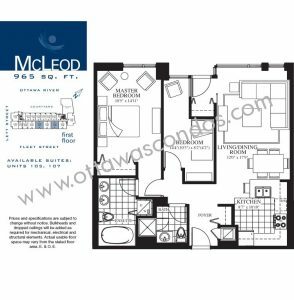 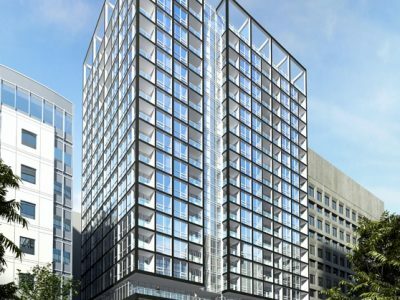 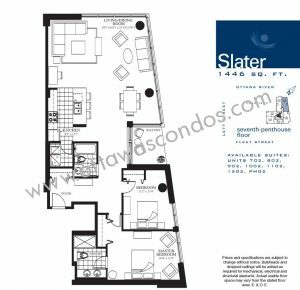 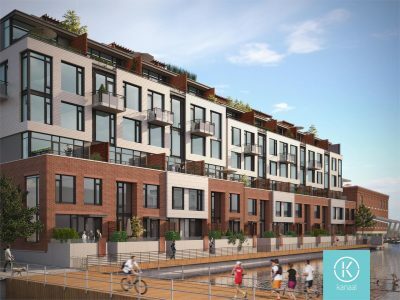 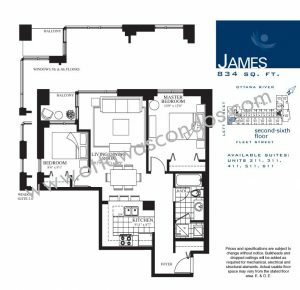 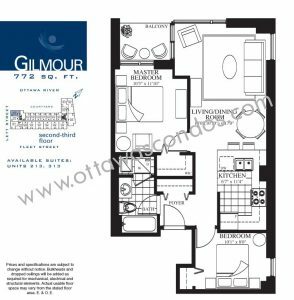 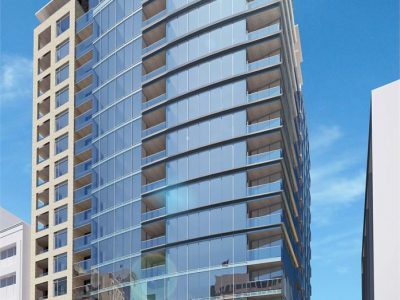 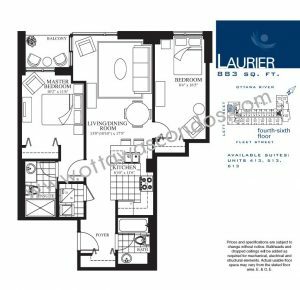 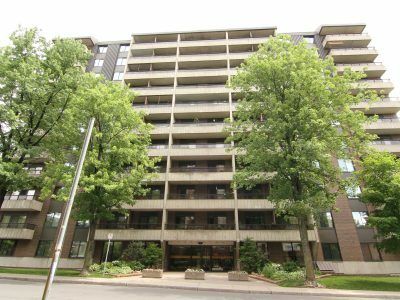 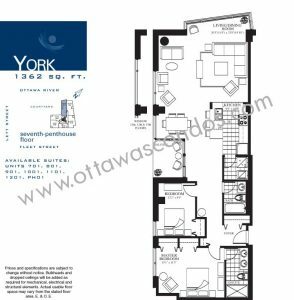 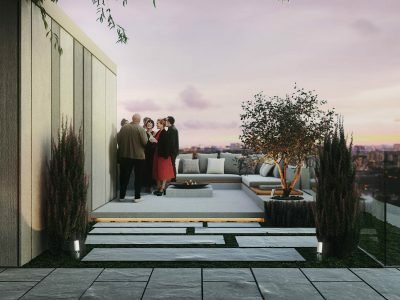 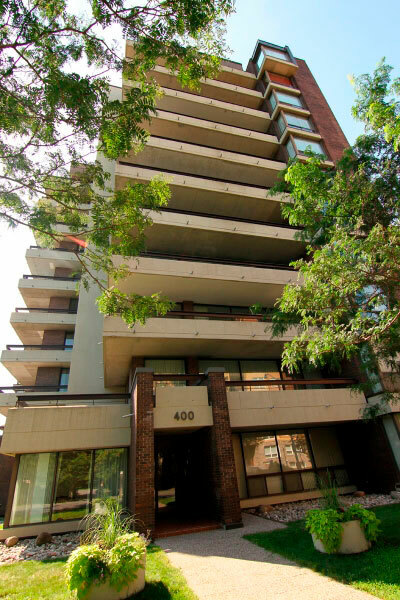 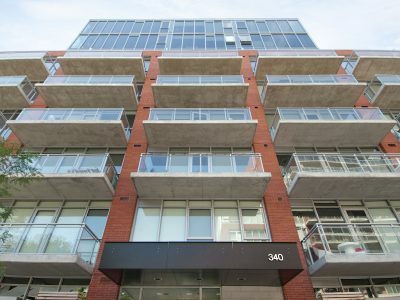 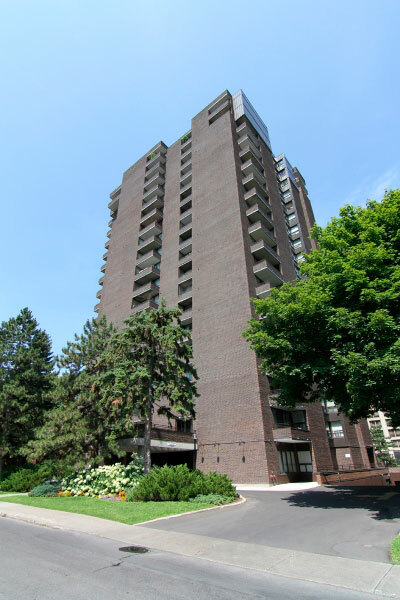 In addition each Phase features its own rooftop terrace with views of Parliament Hill, the Ottawa River & the Gatineau Hills. 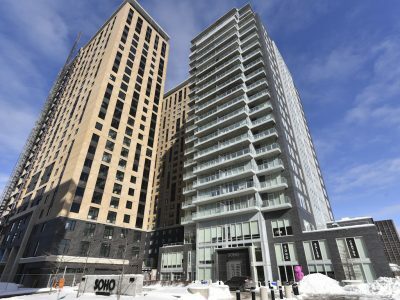 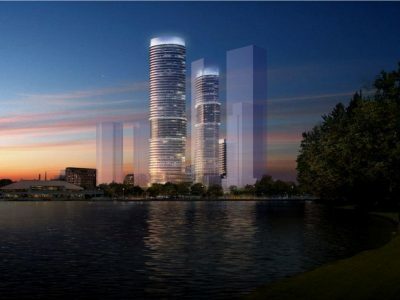 The LeBreton Flats development connects downtown Ottawa with Mechanicsville and Hintonburg. 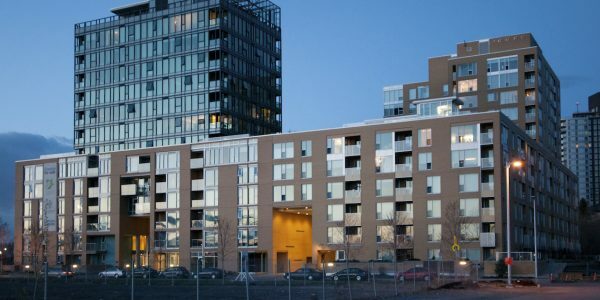 LeBreton Flats is also the site of Ottawa’s biggest summer music festival, Bluesfest, residents can enjoy being in close proximity allowing for easy access to this excellent event. 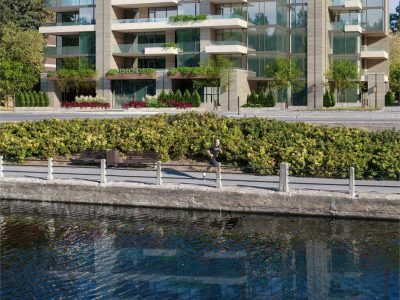 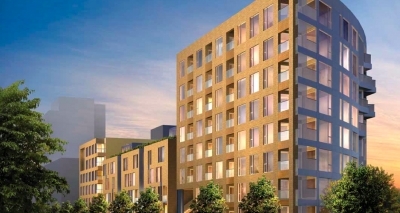 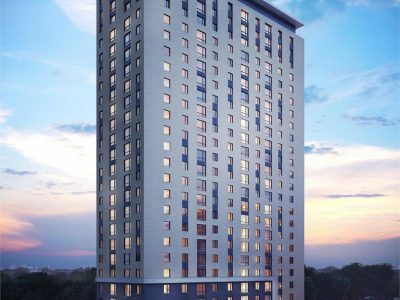 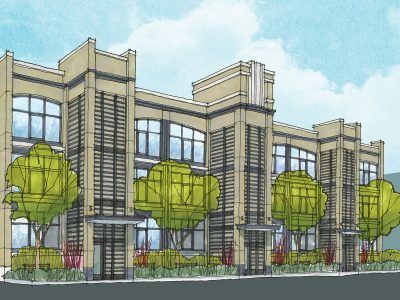 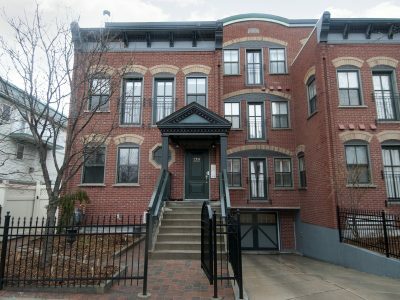 This new urban village is located right on the riverfront allowing stunning views to the units which face this direction.